David has extensive experience with the South Carolina legal system over the course of two decades. He has helped a wide variety of clients in a number of legal service areas, including family law, business matters, personal injury, and appeals. Beyond his expertise and proven track record, however, David provides a more holistic approach to legal services that takes into account a clients' broader circumstances or situation. This enables him to serve as a true Counselor, or Advisor, not simply a one-off, "siloed," legal specialist who treats each case as a number, not an individual. Make no mistake, when you hire this firm, David A. Wilson will be the lawyer working on your case. He is not going to delegate your case to an associate you never met. Although he has skilled team working with him, his unique approach is to handle all the important aspects of your case personally. Sustaining a personal injury is a difficult time in anyone's life. Often, in the case of personal injuries, a client is not only suffering from the pain of the injury itself, but also the medical bills that are piling up, the pressure from lost wages at work, and a future of unknowns. David will sit down and discuss your case and show you why we are the proven Greenville law firm that injured people can turn to. While many personal injury cases do settle prior to trial, David believes that most cases need to be prepared as if a trial is going to take place. This process is not about getting a cheap settlement as fast as possible. Rather, it is about maximizing the value of your case and ensuring that the client is lawfully compensated for any losses sustained. Get in touch with David today to start the process of obtaining justice for you and your family. Important Fee Information: For personal injury cases, including automobile accidents, the fee depends upon whether the case settles or goes to trial and, if it settles, at what stage. In other words, if a case settles prior to any lawsuit being filed, the fee is 25% of the gross recovery plus costs associated with the case. If we do not settle before a Complaint is filed with the court, the fee is 30% of the gross recovery plus costs if the case settles at any time prior to the completion of mediation. If the case does not settle before or as a result of mediation, the fee is 35% of the gross recovery plus costs. The reason for the graduated fee schedule is because each milestone increases the time and resources necessary to prepare the case in an effort to achieve the result desired by the client. 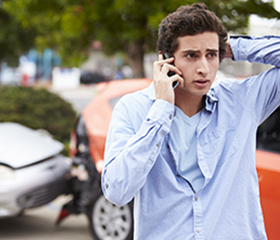 At some point, everyone is likely to be involved in an automobile accident, even if it's relatively minor. What many people don't know is that the steps taken immediately following a collision can greatly impact the outcome of a case. David A. Wilson will provide you with expert advice on how to proceed after an auto accident to help reduce the possibility of you inadvertently doing something at the beginning of the process that could hurt the value of your case in the end. Big insurance companies retain lawyers who are aware of the auto accident attorneys who advertise on television and in the phone books. This knowledge may factor into their analysis of the case as well as your settlement offers. Be sure to choose a Greenville lawyer for the right reason. Many times, the true extent of injuries sustained in an automobile collision does not manifest until months after an accident. Obtaining a settlement a few days or even a few weeks following an accident is not always recommended. The Law Offices of David A. Wilson, LLC will help you take steps aimed at increasing the value of your case. 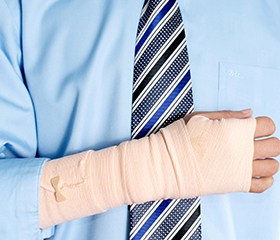 An injury in the workplace can greatly impact the rest of your life, either with temporary or permanent physical or psychological injuries, temporary or permanent loss of wages, and the inability to return to work. Unfortunately, some injuries result in death. 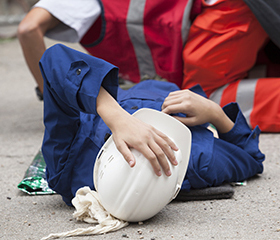 If you believe that you have been injured or have symptoms of an injury related to your employment, we implore you to act quickly as your claim could be barred if you fail to notify your employer within 90 days of the "accident" or you fail to file your claim within certain time frames. You do not always have to rely solely on the doctor provided by your employer to diagnose and treat your injuries. Let The Law Offices of David A. Wilson, LLC assist you with your workers' compensation claim to stop insurance companies who may try to take advantage of your situation. 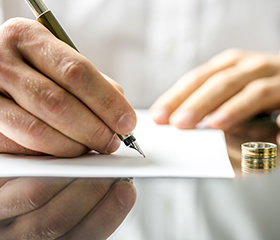 Divorce is often an incredibly painful time for all individuals involved. Unfortunately, most contested divorces take a long time to conclude in the Greenville, South Carolina area. We will assist in helping you get through this very difficult time and try to make the proceedings less painful. Having a close, one-to-one relationship with your attorney is important and The Law Offices of David A. Wilson, LLC will aim to do all that it reasonably can to help you through this difficult time. It is important to remember that each family court case is unique and that just because someone you know obtained certain relief does not mean that your case will merit the same outcome. Each case needs to be handled based upon its unique circumstances to find a solution or a trial strategy that best fits your specific needs or desires. There is a time to fight and a time to look toward settlement. Let us take a look at the facts and honestly go about the best way to turning the page so you can move on with your life. Often, a child custody case becomes primarily about one spouse "winning" against the other. Sadly, some couples forget that divorce is not just about the parents - it can also affect the children. As a father of two daughters, I believe that the parent-child relationship is very important and we should work together to minimize the impact the divorce may have on this relationship. 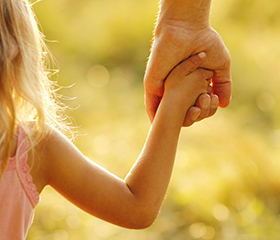 Let us use our experience to help you get navigate through your child custody case. Appellate work is far different from trial work. Not all trial lawyers handle appeals as well. 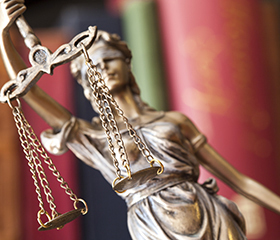 We feel that the best trial lawyers understand the appellate process as well. 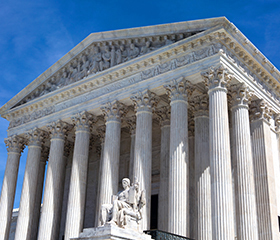 Issues need to be properly preserved before an appellate court will even consider them for review. Cases need to be tried with an eye toward appeal so that if you lose, you may increase your chances on appeal; and if you win, you may increase your chances of preserving the victory. If your case was tried by another lawyer and either side is considering an appeal, please feel free to contact us to discuss your options. Like most aspects of the law, it is better to act quickly to make sure no deadlines are missed. Often, your window of opportunity is only open for 10 days following written receipt of an order. At The Law Offices of David A. Wilson, LLC, we understand that just because you are a corporation that is now involved in a dispute does not mean that you need, or can even afford, a team of lawyers, paralegals and assistants to help you. Business litigation does not always have to be about shuffling reams of paper. Sometimes what you need is a lawyer who is willing to get his hands dirty and put in the time necessary to get to the root of the issue and start coming up with solutions to the problem. Please feel free to contact The Law Offices of David A. Wilson, LLC , if you want a Greenville lawyer who values your time as a business owner and wants to help you resolve your business disputes. Controversy and conflict frequently result in civil litigation. Civil litigation essentially includes all litigation not involving allegations of criminal activity. Civil litigation can be complex so it is important to select an attorney who is knowledgeable and experienced in preparing, negotiating and trying cases. Please allow The Law Offices of David A. Wilson, LL C the opportunity to assist you in your civil litigation. 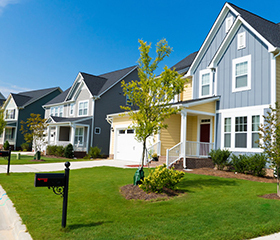 The Wilson Firm works closely with the officers, board members and property/community managers of homeowners' associations and condominium regimes to handle a variety of legal issues they face on a daily basis. In that capacity, we have represented over 100 associations. If you are an officer or board member of a community association, or you are a property/community manager searching for legal counsel, we are here to help. Homeowners' associations (HOAs) and their managers are routinely confronted with situations requiring interpretation of the law or the association's governing documents such as Master Deeds, restrictive covenants and restrictions, bylaws, architectural review guidelines and rules and regulations. Associations and their managers should strive to enforce the governing documents consistently without engaging in selective enforcement. We can help assess the current framework of your governing documents, draft the necessary revisions and then work with you to enforce them properly. Advising associations on issues related to liability insurance, contracts, elections and other tort issues. 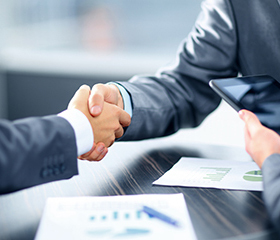 Our firm regularly quotes work on a flat fee basis in this area of law. Please call us today to discuss the legal issues affecting you.